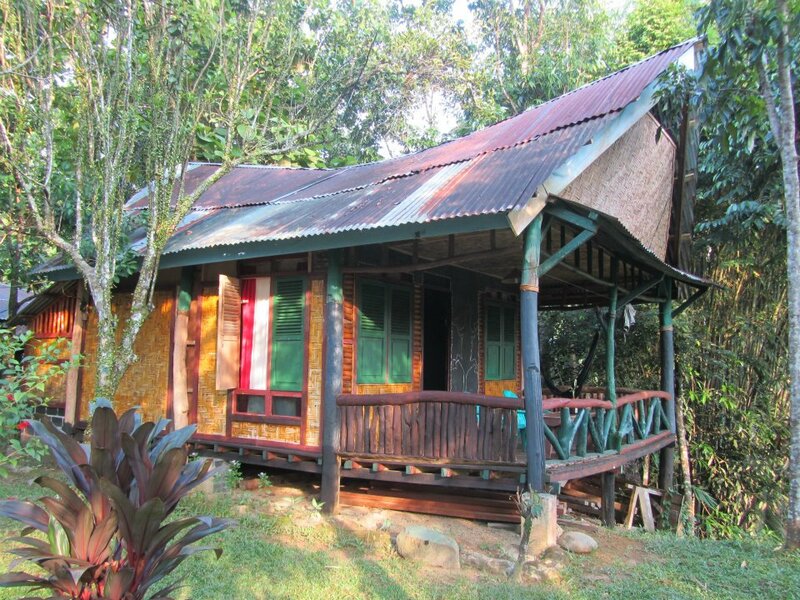 Mega Inn is located right where you cross the Batang River at Tangkahan, North Sumatra. The staff at Mega Inn are very friendly and really look after the guests..
Prices start from 50,000Rp and go up to 75,000Rp. There is an extra charge of 10% on top of the room which is donated to the local village. We had a wonderful experience staying at Mega Inn during May 2010. Mega is a very friendly and helpful person. We had such a fun time washing the elephants in the river. Overall it was worth the pain of the long and bumpy bus trip. It was just lovely being out in the middle of nowhere and being off the beaten track. It's an experience that we will treasure forever. Last year I spent few days in Mega-Inn with two friends. This is my best Indonesia\'s memories. A little paradise in the heart of jungle : beautiful bungalows with beautiful gecko, delicious cooking , nice place to begin a travel. Best place in Sumatra! Ask for Inganta. He will sing the most beautiful Karo Batak song for you, with his guitar! Als Pandi is a great local guide and Mega (the owner) is a great guy! Mega Inn is a treasure in the Jungle. It is a fabulous place to bring children. The staff are so welcoming and helpful. Time goes very slowly as you watch the jungle life unfold around you. I highly recommend it to those who want to escape the pressures of life. It truly takes you back to nature and reminds you what life should be like! Beware of the bumpy trip in! Have you stayed at Mega Inn?